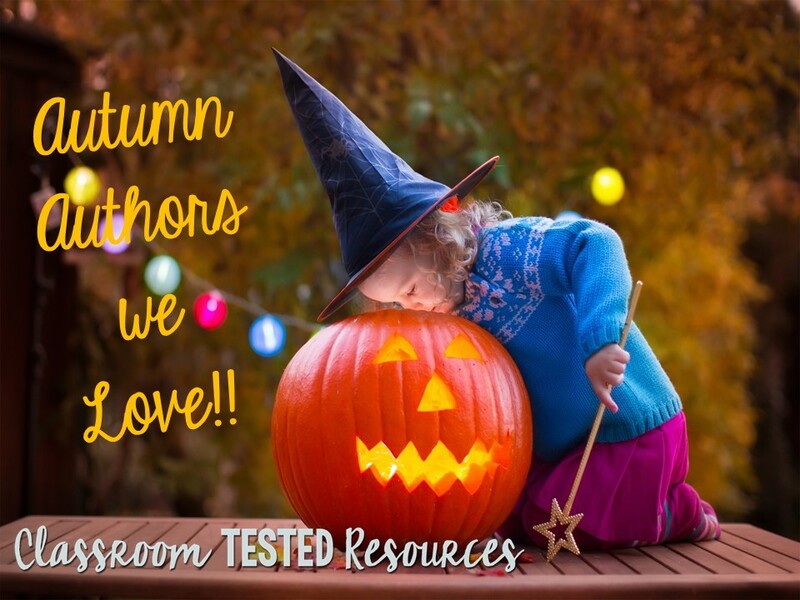 Autumn Authors We Love--and a FREEBIE!! My hope with this blog post is to provide some fun activities to go along with a few of the favorite books from my October bookshelf. This bookshelf is by far the most packed one I have and I keep adding to it on a daily basis. I would like to highlight a few of my favorite books and include an activity or two to go along with the book. My FAVORITE book by far is Big Pumpkin by Erica Silverman. Please excuse the worn condition of this book but that's a good sign that the book is a loved one for sure!! I have created two special products to go with this wonderful book. The first one is a color by the code FREEBIE--Witches Brew Color by the Code . The second one is my very first Roll and Write Center----Spooky Roll and Write. Both of these compliment the book very well. Of course what's Halloween without my next favorite The Little Old Lady Who Was Not Afraid of Anything by Linda Williams. I included a FREEBIE from Reading Royalty for sequencing the story. I love that this book lends itself so well to an interactive read aloud with students helping act out the fun parts!! I could go on and on all night about favorite books--- but report cards call. The last book I want to feature is Ten Timid Ghosts by Jennifer O'Connell. Check out this awesome sequencing FREEBIE created by Mrs. D's Corner. So cute!!! I hope you enjoy all of these books as much as I do.